The Investor Portal provides investors efficient and secure access to their investment information. Investors will have access 24 hours a day, 7 days a week to a range of information including holding balances, transaction records and payment history. The Investor Portal allows investors ‘view only’ access. As an investor, you will not be able to amend any details regarding your investments. If you would like to change the details relating to your holdings, please download the appropriate form, complete and then post the original form to One Registry Services. You will need a PDF viewer such as Adobe Acrobat to view and print these forms. Note: The following terms relate to the Tax Laws Amendment (Implementation of the Common Reporting Standard) Act 2016 (CRS) and are provided as a guide only. Investors should seek their own advice in connection with their CRS reporting and compliance obligations. These are selected summaries of defined terms provided to assist you with the completion of your CRS certification. Further details can be found within the OECD “Common Reporting Standard for Automatic Exchange of Financial Account Information” (the “CRS”), the associated “Commentary” to the CRS, and domestic guidance. This can be found at the OECD automatic exchange of information portal. is the person listed or identified as the holder of a Financial Account by the Financial Institution that maintains the account. This is regardless of whether such person is a flow-through Entity. Thus, for example, if a trust or an estate is listed as the holder or owner of a Financial Account, the trust or estate is the Account Holder, rather than the trustee or the trust’s owners or beneficiaries. Similarly, if a partnership is listed as the holder or owner of a Financial Account, the partnership is the Account Holder, rather than the partners in the partnership. A person, other than a Financial Institution, holding a Financial Account for the benefit or account of another person as agent, custodian, nominee, signatory, investment advisor, or intermediary, is not treated as holding the account, and such other person is treated as holding the account. Control over an Entity is generally exercised by the natural person(s) who ultimately has a controlling ownership interest (typically on the basis of a certain percentage (e.g. 25%)) in the Entity. Where no natural person(s) exercises control through ownership interests, the Controlling Person(s) of the Entity will be the natural person(s) who exercises control of the Entity through other means. Where no natural person(s) is/are identified as exercising control of the Entity through ownership interests, then under the CRS the Reportable Person is deemed to be the natural person who hold the position of senior managing official. Controlling Person(s) are the natural person(s) who exercise control over an entity. Where that entity is treated as a Passive Non-Financial Entity (“Passive NFE”) then a Financial Institution is required to determine whether or not these Controlling Persons are Reportable Persons. This definition corresponds to the term “beneficial owner” described in Recommendation 10 and the Interpretative Note on Recommendation 10 of the Financial Action Task Force Recommendations (as adopted in February 2012). In the case of a legal arrangement other than a trust, “Controlling Person(s) means persons in equivalent or similar positions. Custodial Institution means any Entity that holds, as a substantial portion of its business, Financial Assets for the account of others. This is where the Entity’s gross income attributable to the holding of Financial Assets and related financial services equals or exceeds 20% of the Entity’s gross income during the shorter of: (i) the three-year period that ends on 31 December (or the final day of a non-calendar year accounting period) prior to the year in which the determination is being made; or (ii) the period during which the Entity has been in existence. Depository Institution means any Entity that accepts deposits in the ordinary course of a banking or similar business. FATCA stands for the U.S. provisions commonly known as the Foreign Account Tax Compliance Act, which were enacted into U.S. law as part of the Hiring Incentives to Restore Employment (HIRE) Act on March 18, 2010. FATCA creates a new information reporting and withholding regime for payments made to certain non-U.S. financial institutions and other non-U.S. entities. Entity means a legal person or a legal arrangement, such as a corporation, organisation, partnership, trust or foundation. This term covers any person other than an individual (i.e. a natural person). Financial Institution means a “Custodial Institution”, a “Depository Institution”, an “Investment Entity”, or a “Specified Insurance Company”. Please see the relevant domestic guidance and the CRS for further classification definitions that apply to Financial Institutions. The second type of “Investment Entity” (“Investment Entity managed by another Financial Institution”) is any Entity the gross income of which is primarily attributable to investing, reinvesting, or trading in Financial Assets where the Entity is managed by another Entity that is a Depository Institution, a Custodial Institution, a Specified Insurance Company, or the first type of Investment Entity. not a Participating Jurisdiction Financial Institution. An Entity is managed by another Entity if the managing Entity performs, either directly or through another service provider on behalf of the managed Entity, any of the activities or operations described in clause (i) above in the definition of ‘Investment Entity’. An “NFE” is any Entity that is not a Financial Institution. A “Participating Jurisdiction” means a jurisdiction with which an agreement is in place pursuant to which it will provide the information required on the automatic exchange of financial account information set out in the Common Reporting Standard and that is identified in a published list. The term “Participating Jurisdiction Financial Institution means (i) any Financial Institution that is tax resident in a Participating Jurisdiction, but excludes any branch of that Financial Institution that is located outside of that jurisdiction, and (ii) any branch of a Financial Institution that is not tax resident in a Participating Jurisdiction, if that branch is located in such Participating Jurisdiction. Under the CRS a “Passive NFE” means any NFE that is not an Active NFE. An Investment Entity located in a Non-Participating Jurisdiction and managed by another Financial Institution is also treated as a Passive NFE for purposes of the CRS. An Entity is a “Related Entity” of another Entity if either Entity controls the other Entity, or the two Entities are under common control. For this purpose control includes direct or indirect ownership of more than 50% of the vote and value in an Entity. The term “Reportable Account” means an account held by one or more Reportable Persons or by a Passive NFE with one or more Controlling Persons that is a Reportable Person. A Reportable Jurisdiction is a jurisdiction with which an obligation to provide financial account information is in place and that is identified in a published list. A Reportable Jurisdiction Person is an Entity that is tax resident in a Reportable Jurisdiction(s) under the tax laws of such jurisdiction(s) – by reference to local laws in the country where the Entity is established, incorporated or managed. An Entity such as a partnership, limited liability partnership or similar legal arrangement that has no residence for tax purposes shall be treated as resident in the jurisdiction in which its place of effective management is situated. As such if an Entity certifies that it has no residence for tax purposes it should complete the form stating the address of its principal office. Each jurisdiction has its own rules for defining tax residence, and jurisdictions have provided information on how to determine whether an entity is tax resident in the jurisdiction on the OECD automatic exchange of information portal. Generally, an Entity will be resident for tax purposes in a jurisdiction if, under the laws of that jurisdiction (including tax conventions), it pays or should be paying tax therein by reason of his domicile, residence, place of management or incorporation, or any other criterion of a similar nature, and not only from sources in that jurisdiction. Dual resident Entities may rely on the tiebreaker rules contained in tax conventions (if applicable) to solve cases of double residence for determining their residence for tax purposes. An Entity such as a partnership, limited liability partnership or similar legal arrangement that has no residence for tax purposes shall be treated as resident in the jurisdiction in which its place of effective management is situated. For additional information on tax residence, please talk to your tax adviser or see the OECD automatic exchange of information portal. The term “TIN” means Taxpayer Identification Number or a functional equivalent in the absence of a TIN. A TIN is a unique combination of letters or numbers assigned by a jurisdiction to an individual or an Entity and used to identify the individual or Entity for the purposes of administering the tax laws of such jurisdiction. Further details of acceptable TINs can be found at the OECD automatic exchange of information portal. Some jurisdictions do not issue a TIN. However, these jurisdictions often utilise some other high integrity number with an equivalent level of identification (a “functional equivalent”). Examples of that type of number include, for Entities, a Business/company registration code/number. Note: The following terms relate to the Foreign Account Tax Compliance Act (FATCA) and are provided as a guide only. 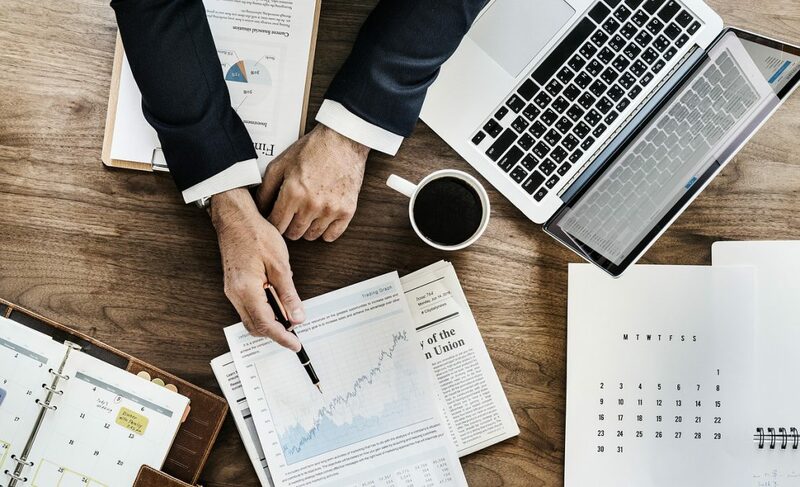 Investors should seek their own advice in connection with their FACTA reporting and compliance obligations. Any non-U.S. entity that is not a financial institution. NFFE can be either Active NFFE or Passive NFFE (refer below for more details). anyone living in the U.S. Controlling persons means the natural persons who exercise control over an Entity. In the case of a trust, such term means the settlor, the trustees, the protector (if any), the beneficiaries or class of beneficiaries, and any other natural person exercising ultimate effective control over the trust, and in the case of a legal arrangement other than a trust, such term means persons in equivalent or similar positions. Global Intermediary Identification Number is an IRS registration number for financial institutions. TIN is U.S. Taxpayer Identification Number and may include Social Security Number (SSN) or Employer Identification Number (EIN). Agreement between the Government of Australia and the Government of the United States of America to Improve International Tax Compliance and to Implement FATCA. Any plan, scheme, fund, trust, or other arrangement operated principally to administer or provide pension, retirement, superannuation, or death benefits that is a superannuation entity or public sector superannuation scheme (including an exempt public sector superannuation scheme) as defined in the Superannuation Industry (Supervision) Act 1993, or a constitutionally protected fund as defined in the Income Tax Assessment Act 1997. A pooled superannuation trust as defined in the Income Tax Assessment Act 1997. Any Entity that is wholly owned by, and conducts investment activities, accepts deposits from, or holds financial assets exclusively for or on behalf of, one or more plans, schemes, funds, trusts, or other arrangements referred to in subparagraphs (1) or (2) of this paragraph. Passive NFFE with controlling U.S. persons – any NFFE that is not an Active NFFE or is not a withholding foreign partnership or trust and has controlling U.S. persons. Passive NFFE with no controlling U.S. persons – any NFFE that is not an Active NFFE or is not a withholding foreign partnership or trust and where none of the entity’s controlling persons are U.S. persons. Participating FFI – an FFI that enters into an agreement with the IRS to undertake certain due diligence, withholding and reporting requirements for U.S. account holders in accordance with FATCA and is generally able to provide GIIN. Certain Collective Investment Vehicles that meet criteria listed in paragraph E. IV of Annex of the IGA.